I’m still recovering from tendinitis in my left shoulder and elbow. I hate it. It’s painful, it gets in the way of work, play, and sleep. I’m still doing a little knitting. I can’t quite crochet yet as it uses my left arm and hand a lot. Spinning is completely out of the picture until I’m better. What I found works well with knitting in little spurts is entrelac, a method of knitting where you get a nice, basket weave pattern. It’s fun, goes quickly, and I can put it down and pick it up frequently when I need to rest my left arm. 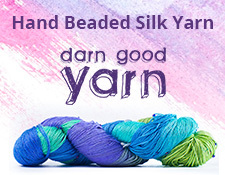 Entrelac was a little confusing for me at first, but Interweave has a wonderful tutorial on the subject that is free on their website. I practiced on a test swatch on some Liberty Wool that I had left over from another project. It had some pretty color changes that I thought would look nice with entrelac. So that’s how I’m keeping sane during this physically painful time. 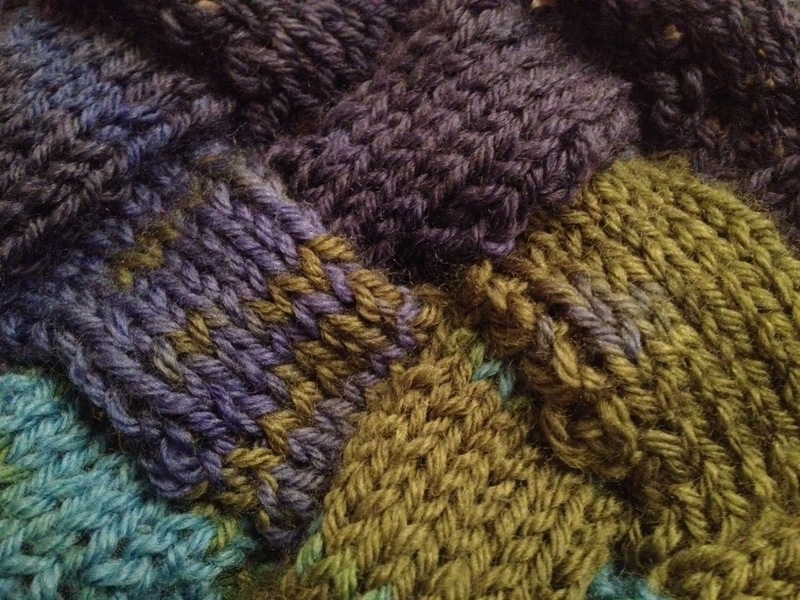 Entrelac enabled me to keep working at something I love and be able to rest what I need to take care of. Entrelac sounds like a perfect little project, especially if you are working with smaller squares. I find it fun once you get used to it and it is so satisfying to watch those little squares build up over time. It has kept me sane. It is a fun technique!